Ooh, Iâ€™d be very interested to see a green saber Luke/Kylo confrontation with a successful hilt replacement! Wow. Thatâ€™s astonishing! Looks amazing. I guess Iâ€™ll be sending you another PM soon! Very cool to see this new FX work! Is this your VFX person? Assuming the YouTube link I just saw on Reddit is the same as your V8 - in motion it doesnâ€™t look entirely convincing to me. It feels like a 2D image pasted on instead of a three-dimensional part of the scene. Love the idea, and this is proves to me that it CAN be done convincingly, but itâ€™s not quite there yet. 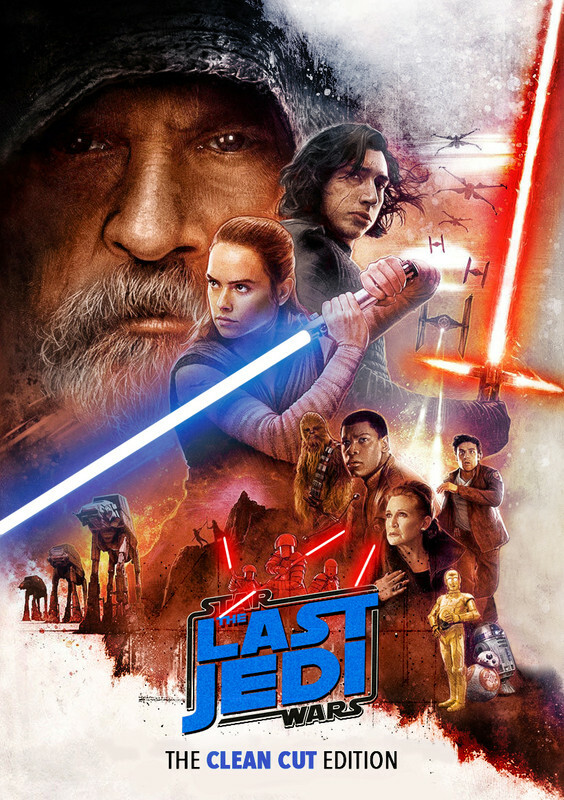 Iâ€™m almost thinking it needs to be done like some of the Blade Runner Final Cut stuff, where they filmed new footage that was precisely timed and matched movement-wise to the original footage - so film someone holding a screen-accurate ROTJ Luke saber prop hilt and moving it in the same ways Luke moves the saber in TLJ. Or maybe a 3D model manually adjusted and tracked instead of trying to get a still image (or series of them) to work (assuming thatâ€™s what was done here). Not trying to rain on your parade or anything, it just isnâ€™t quite convincing enough for me. I will say, though, the green blade itself looks perfect! Yeah, those two options are definitely more work, but thatâ€™s how I would do it. You could get someone to wear a green suit and stand in front of a green screen holding a prop saber, the go through and try to replicate the necessary shots. The hardest shots would be the quick movement ones, but honestly those work the best even in the method used above, because it is just so quick. Itâ€™s really just the close-ups that it really stands out, but luckily that would be easier to film. But I think it works for those who want it. Doesnâ€™t have to be perfect. Yes thatâ€™s the VFX guys Iâ€™m working with - however, the cut it delayed because the file he sent me isnâ€™t high enough quality. Coolâ€¦ BUT HOW DO YOU GET IT?! Send the creator a private message, same way you get practically every project talked about on this site. Click on their username and click â€œStart Private Topic.â€� When they respond, the speech bubble in the top right corner will be filled in. quick progress update - I replaced all the source files to increase the quality of the edit overall and also got a better quality file from my VFX guy, so Iâ€™m rendering the new v8 right now (Lukeâ€™s ROTJ green saber and hilt included) - by the end of the day, v8 will be ready for those interested. ok, v8 is coming and there are a few changes - Iâ€™m very excited about this version because this is the end for me once itâ€™s actually rendered. With these changes, this cut is pretty much right where I wanted it. Holdoâ€™s intro speech is added back into the cut - this is done for the sake of cohesion because she pops up later and we should know who she is. The speech is literally just her intro - the Poe tension is cut. This scene also letâ€™s us know Leia is ok and recovering, which my cut also needed since we see Leia later in the cut but never SEE her recover - this bit of exposition is enough for me. When Leia is brought back into the ship and drops her binary tracker device, we now see Finn pick it up - which we also needed in this cut. 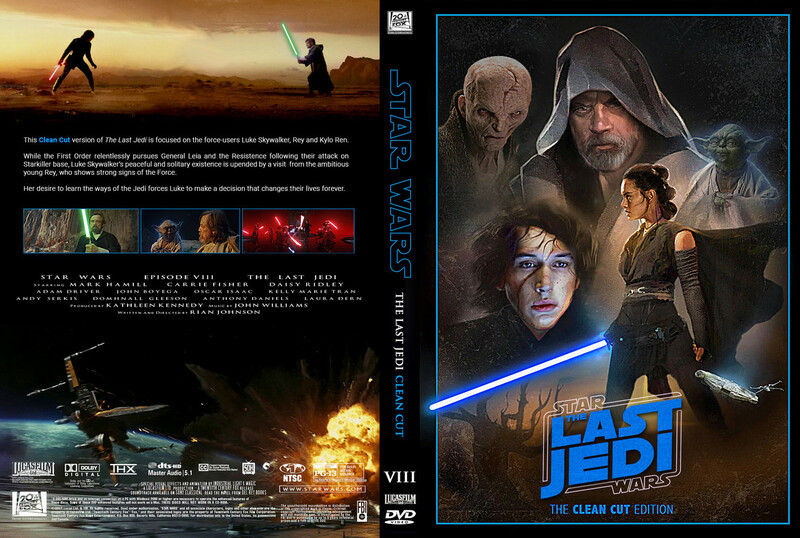 Not to be overly OCD about it, but is there any demand for a v9 reinstating the scene with Luke disappearing at the end (everything else about this edit will stay the same)? I didnâ€™t like the way the scene felt in the original but now that I really like the way the movie plays out in this edit, I feel like it could work. Iâ€™m up in the air about it right now but considering based on feedback. I canâ€™t express in words how much I love this edit now. The lightsaber replacements were brilliantly executed, and the video is finally in HD! This is now my definitive cut, even more so than before. Iâ€™m glad you enjoyed it! Thanks! I feel like you should reduce the number of versions slightly. v6 should be v5.5, v7 should be v6, and the current version should be v7. If you do end up fixing the saber continuity error, that should be v7.5. At this point, all the versions (files) are labeled already so it would become very confusing to change the version numbers retroactively. 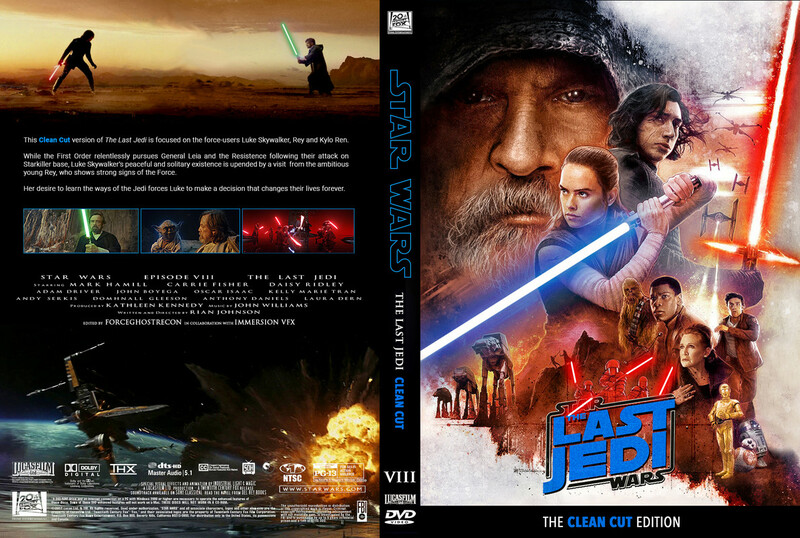 When v9 is finished, it will be the definitive Clean-Cut edit, so all these other versions can really go the way of the wind. This is, for my taste, the best edit Iâ€™ve watched since ESBR. You cut out everything that I didnâ€™t really enjoy (even though I liked the original movie) and kept/added everything that I liked. Everything is faster but it doesnâ€™t feel out of place. During free time I follow politics, Iâ€™m an euroskeptic and I have a YouTube channel for trailer and tributes.